A gummy smile is one where the upper lip elevates above the upper teeth, exposing the gums and producing an ugly or unattractive smile. This phenomenon is caused by a hyperactive muscle which lifts the upper lip above the teeth. The smile is made to look even worse if the upper lip is thin, because more of the upper gum line is exposed. At our skin treatment clinic in London there’s a very simple and effective remedy for a gummy smile. This takes the form of gummy smile Botox injections which reduces the activity of the muscle that elevates the upper lip. This treatment needs to be repeated every five to six months. Injectable treatments contain a protein which relaxes muscles by temporarily blocking nerve impulses to the injected areas. Many people develop a pockmarked, or ‘pincushion’ effect on the skin of the chin. This condition has various names – Cleft Chin, Dimpled Chin, or Orange Peel Chin, and occurs as a result of repeated contractions of the chin muscle over time. The problem develops when the mentalis muscle in the chin is contracted and can lead to the appearance of unsightly pin-like marks and wrinkles. As one ages, the condition worsens and becomes visible even when the chin muscle is not contracting. Cleft Chin is an unattractive look, but it can be corrected at our south London skin treatment clinic with dimpled chin Botox. These injections are administered into the mentalis muscle, which is found at the bottom of the chin. These neurotoxin injection, soften the appearance of the skin and get rid of the dimpled chin to create a more youthful look. Injecting facial fillers in the chin can also help in improving this condition. If the Botox injections are repeated, it’s likely that they’ll be needed less and less often, and can lead to the cleft chin (poppy chin) effect fading away altogether. Frown lines and forehead wrinkles are those long wrinkle lines that appear on the forehead when a person is concentrating or straining to see something. They occur naturally as we age and are caused by the breakdown of the elasticity of the skin. Over time, our skin becomes thinner, tighter and drier, and this tends to make wrinkle lines and frown lines on the forehead more pronounced. To get rid of frown lines our skin treatment clinic in Kingston On Thames in London can help by injecting these with frown line filler. Frown lines can be made worse, or deepened, if you’re undergoing stress in our lives. We all frown more when under stress and, over time, this can result in a weakening of the collagen fibres in our skin. Smoking and ultraviolet rays on the skin from sunbathing are also not good for the skin and add to the problem of forehead wrinkles and frown lines. Injectable neurotoxin are one way to smooth the wrinkles wrinkles. The botulinum toxin in the Botox temporarily paralyses the tiny muscles that make you frown. In some cases These lines might also benefit from fine facial skin fillers to fill the lines and smooth it out. The facial fillers bind with the skin cells to make frown lines and forehead wrinkles appear fuller and smoother. Crow’s feet, also known as ‘character lines’ or laugh lines’ are something our London skin treatment clinic know all about. These are a concentrated collection of fine lines and wrinkles that appear around the outer corners of the eyes. Crow’s feet eyes usually start appearing in our mid- to late-30s, and occur because of the lessening of the production of elastin and collagen – the two proteins responsible for our skin’s elasticity. This hardening of the skin leads to the emergence of crow’s feet and wrinkles plus all the other signs of aging like frown lines, brown spots and drooping breasts. Other contributing factors that lead to crow’s-feet eyes are excessive exposure to the sun, smoking, squinting, smiling and frowning. With regular face filler treatment at our Botox clinic in London, Botox injections flattens and smooths wrinkles and, in some cases, can even eliminate them altogether. In some cases, deep crow’s feet can show even without making an expression. These would benefit from fine hyaluronic acid injections in addition to Botox to fill the fine lines and eliminate them. ‘Smoker’s lips’, vertical lip lines’ or ‘smoker’s lines’ are caused by the regular lip movements we all make and are practically unavoidable. The appearance of smoker’s lines is worsened if you’re a regular smoker – this is due to the harmful chemicals in the smoke and the repeated action of pressing your lips together each time you inhale cigarette smoke. Learning to completely relax your face is one way to help prevent the wrinkles associated with smoker’s lips – another is to perform regular facial exercises – facial skin that has sufficient muscle tone and collagen help to reduce smoker’s lines that may develop around the mouth. 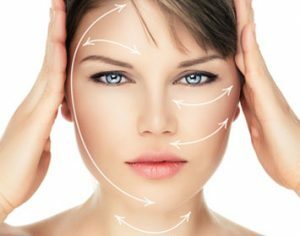 You can also choose to undergo a course of anti-wrinkle injections (Botox) at our highly regarded London skin treatment clinic. The Botox injections will need to be repeated every 4-6 months. Another effective option is using low viscosity, fine dermal filler injections which helps plump and smooth the fine lines around the mouth. A more serious treatment is dermabrasion or facial chemical peel. Here, the upper layer of the skin is removed so that a new layer can grow. These treatments work particularly well with skin around the mouth. The grinding, clenching or gnashing of teeth, also known as bruxism, is common – one in three people suffer from it, and many of us do it without even realizing. It’s very common for people to do it in their sleep (this is called sleep bruxism). And while there’s no really definitive cure, we offer a teeth grinding treatment at our skin treatment clinic in London. If you grind your teeth in your sleep, the enamel can be worn away, the teeth can be loosened from the gums or even fractured. You might also suffer from an aching jaw, headaches, and tooth pain. Teeth grinding can be caused by high stress, crooked teeth, or an abnormal bite, and one of the most effective treatments is a mouth guard worn at night. The mouth guard slips over the teeth and prevents you from grinding on the teeth – it’s the guard that takes the beating! Most night guards are custom-made by a dentist. Another way of improving grinding which is the treatment carried out in this clinic is injecting Botox or another equivelant neurotoxin in the Masseter muscle on both sides of the face. The result could take up to 14 days to have full effect and can last between 4-6 month. Not sure what bunny lines are? Well, these are the slightly diagonal small wrinkles, or fine lines, on both sides of your nose just below the bridge. Here’s a quick test to see if you have them. Scrunch up your nose and check in the mirror if lines appear down your nose. Now relax your face. Do these lines disappear or can you still see them? If you still see them, they’re bunny lines. Some people are more prone to developing bunny lines than others. It all depends on how they make their facial expressions. People who crinkle up their nose when they laugh usually have very defined bunny lines. People whose faces remain more relaxed and their laugh doesn’t cause their nose to crinkle normally don’t develop them. At our Richmond Botox clinic we can help to combat bunny lines by treating them with face fillers. All we do is inject each side of the nose with small amounts of Botox. Results will show between 7 to 10 days and typically last for up to three or four months.